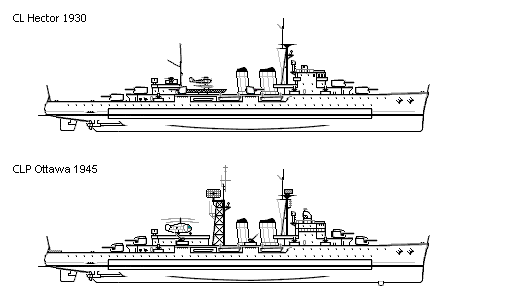 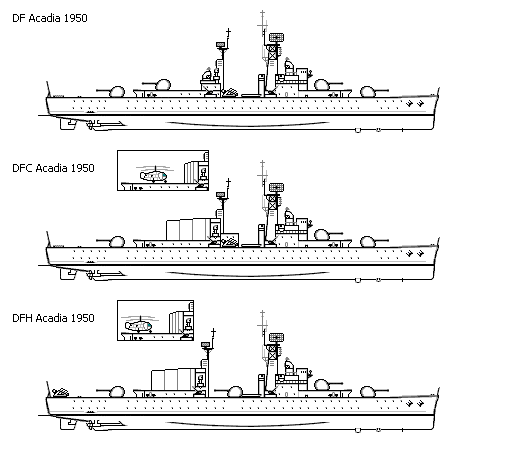 Midlife refits for the Manitoba class light cruisers. 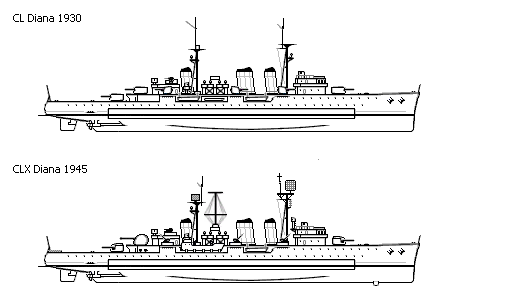 Quarterdeck fitted to accommodate helicopter operations. 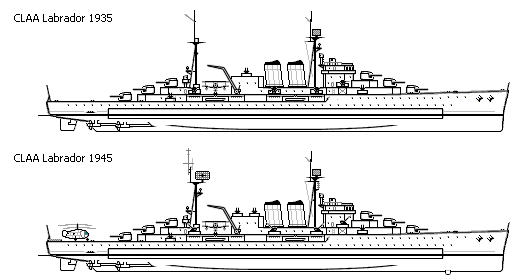 Automatic Dual-Purpose twin 5.5" guns simmed as triples. 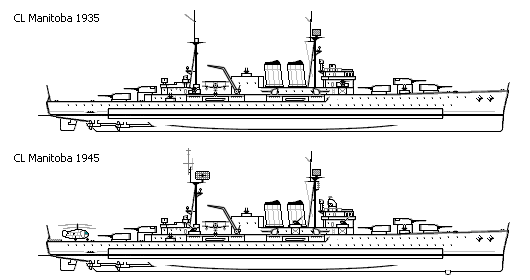 and the guns will still be crew intensive.